Press Release (ePRNews.com) - NEW YORK - Jan 22, 2019 - The nonprofit lending organization Provident Loan Society of New York is promoting a new lending offer to help federal government workers who are in need of quick cash due to the government shutdown. Under the offer, federal workers can use their collateral such as gold, silver or fine jewelry to borrow money for short-term expenses instead of borrowing against credit cards. The CFO of Provident Loan Society, Kevin King, says this lending program was designed to help federal workers who have missed their last paycheck as a result of the government shutdown. Provident Loan Society has seen an increase in the number of federal workers turning to us for help since the shutdown. Many of these federal workers are living paycheck-to-paycheck. We want these federal workers to know that our nonprofit is here to help them with lending options, should they need a short-term loan during this government shutdown. In December, the Fed hiked interest rates again, increasing the cost of borrowing money from credit cards and loans, and it’s having an impact on federal workers who rely on credit cards, said King. A recent survey by Capital Economics found the percentage of borrowers making payments more than 30 days late keeps rising. There are several ways federal workers can borrow money from Provident Loan Society of New York. Consumers can go to one of their five locations in New York City and borrow against their collateral items in person. The jewelry or collateral items are appraised on site and cash is given on-the-spot. This loan process typically takes about 20 minutes to complete in-person. Workers elsewhere in the United States can also borrow money from Provident Loan Society by mail. Once the jewelry is received, an appraiser from Provident Loan Society will tell consumers how much they can borrow with the current item. Items that are eligible for loans include diamond jewelry, gold jewelry, gold coins (only for gold content), watches and silverware. There is also an option to apply online for a collateral loan using their gold or jewelry. 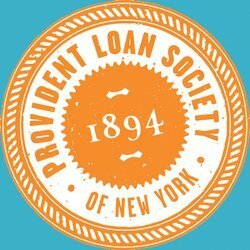 New Yorkers can learn how much a loan at Provident Loan Society will cost before they even walk in the door. The Fast Cash Calculator will give consumers an estimate of how much a loan will cost, including fees and interest rates. As the country’s only not-for-profit pawnshop, interest rates at Provident Loan Society are comparable to credit cards, but typically half the cost of most commercial pawn shops. Provident Loan Society charges 13 percent for a six-month loan, while a traditional pawnbroker can charge 24 percent for the same loan. Provident Loan Society of New York is a nonprofit lending organization that offers quick collateral loans of up to $100,000 on gold and diamond jewelry, fine watches and silverware. Provident Loan Society has branches in Manhattan, Queens, Brooklyn and the Bronx.